Well, the time is 1am 19th September 2013. So get ready folks but prepare to have some hiccups when downloading throught OTA since millions and millions of iOS users will update at the same time. This is also the beauty of Apple where many of the users will get the update almost at the same time compared with Android which will have to go through the manufacturers’ customization before the latest Android update can go to its users. Heads on for the worldwide iOS 7 download time/day. 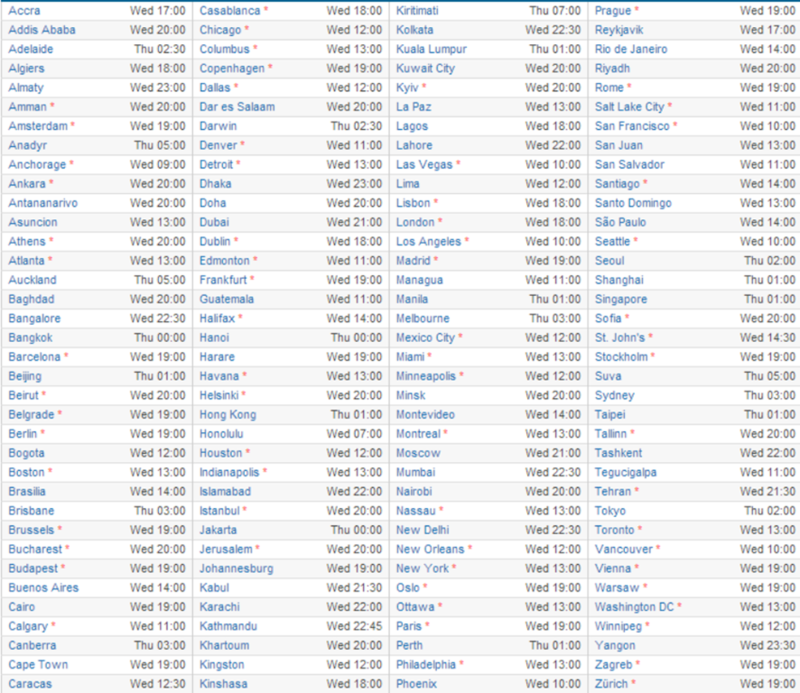 Click on the image above to have a clearer image of the your desired country and day/time release. So for other countries iOS 7 download and launch time such as China, India, Australia and etc, you can refer to the iOS 7 worldwide release day/time. iOS 7 is available for iPad 2 and above, iPad Mini, iPhone 4 and above and 5th Gen iPod Touch. Before you start to update your iOS devices to iOS 7, remember to backup all your data. If you prefer the old fashion way of updating your iOS, you can download iOS 7 and update from iTunes. And for those who have installed iOS 7 Beta 6, you might be wondering how to update to iOS 7 official version. Do I need to downgrade to iOS 6 before you can upgrade or will I be able to get the iOS 7 update through OTA? Well, so far there is no official answer and most iOS developers already iOS 7 Gold Master Edition which is exactly like iOS 7, so they won’t have much problems. I am also using iOS 7 Beta 6, and I can’t find any official answer. What I can advise is that, download iOS 7 official version and try to upgrade using iTunes. I am not sure will it work or not but will keep you all updated. If you have the answer already, do drop a comment below and I say thanks on behalf of my readers and myself. Thank you. Do get ready to be a bit frustrated when some of your favourite apps might have some bugs or issues after iOS 7 update since the developers need time to redesign and revamp their app. What’s your say? Update or wait for 7.01 or 7.1? Next story DiGi Starts Pre-Order for Galaxy Note 3 & Bundles With Free Galaxy Gear!!! Previous story [RUMOUR] DiGi – Samsung Galaxy Gear Price in Malaysia is RM999?